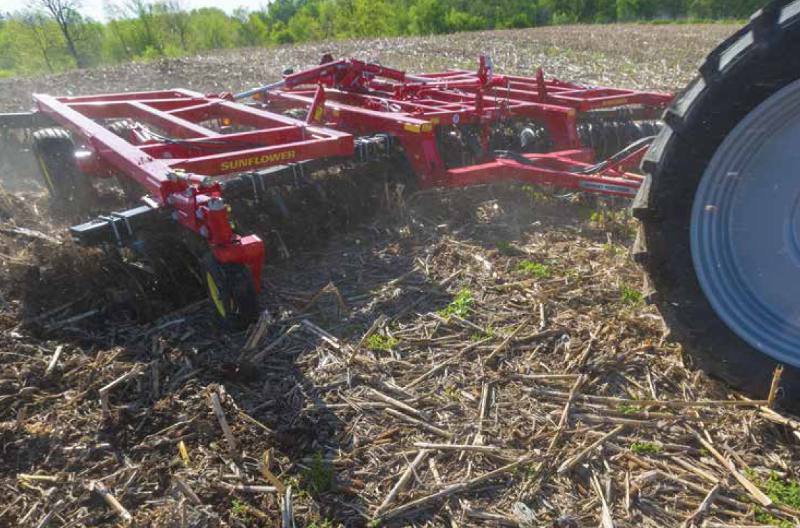 The 1436 Series Tandem Disc Harrow is heavier and more aggressive than its predecessor. This new series is designed to deliver the performance demands of today’s farming. The new frame design of the 1436 is crafted with more structural strength and thicker walled tubing. It is accurately balanced to accommodate the heavy reeled finishing attachments popular today. The larger tires, wheels, hubs and spindles of the 1436 enhance the tool’s ability to move from field to road with ease. The improved carriage of the 1436 provides superb flotation in the field and added stability in transport. These new disc harrows are available in “True Cutting Widths” from 20’ 5” to 35’ 4”.